Volume2Volume will take care of all your audio visual needs from promotional video to radio advertising campaign. Our team has long experience both in commerce and the creative industry, and we pride ourselves on being pro-active, pragmatic and personable. We have the latest audio visual technology at our fingertips and a dedicated account manager always at your service. Emma is an award-winning voiceover and has worked with media organisations and major brands across the world. As well as having written comedy and drama for TV, radio and film, her expertise is across all audio disciplines. David is a film-maker with a passion for telling stories, he loves exploring all aspects of visual media. Iain has worked in commercial radio for 17 years. He's worked with some of the UK's biggest brands, some of the nation's best-loved celebrity voices and has won multiple awards for his work, including a prestigious London International. We work with the world’s most talented and creative voiceovers and actors. Our vocal performers can turn a script into something really special, bringing your message alive. 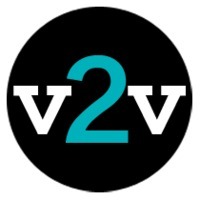 The V2V copywriters combine creativity and commercial understanding. We don’t re-hash old ideas; we listen to our customers, learn about them and their brand to produce brilliant ideas that result in increased sales. Our composers work with some of the UK’s biggest brands to create sonic idents, jingles and bespoke music.